This book comprises twenty eight essays by leading experts in contemporary art on the difference between the professional practice of setting up exhibitions (curating) and the curatorial, this event that takes place on the stage set up, both intentionally and unintentionally, by the curator. Stop curating! And think what curating is all about. 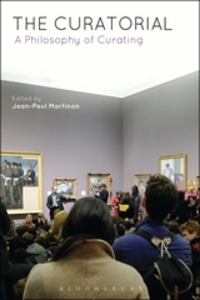 This book starts from this simple premise: thinking the activity of curating. To do that, it distinguishes between 'curating' and 'the curatorial'. If 'curating' is a gamut of professional practices for setting up exhibitions, then 'the curatorial' explores what takes place on the stage set up, both intentionally and unintentionally, by the curator. It therefore refers not to the staging of an event, but to the event of knowledge itself.